I have no doubt that millions of workers and unemployed citizens of the country are very sad and deeply hurt, like myself, to witness what is happening in what was once the biggest workers federation in the country. When Cosatu was formed in 1985, its mission was to take up workers’ problems, challenges and grievances on the shop floor. But as I said on 31 of March, the federation has lost direction. It has become just another political party. It has forgotten the purpose of its existence. No more do the workers matter for the present COSATU leadership. It is so painful to see what is happeningtoday. Workers are cut and divided in the middle. Today, in Durban, innocent workers must participate in either one or the other march. Separation of workers is the order of the day! Cosatu and Numsa are going their separate ways. I vehemently maintain that the once powerful federation is contaminated by politics today. Leaders in Cosatu are more politicians than dedicated representatives of the workers. Many of them are sitting in the executive of the Ruling Party or are cosily ensconced in Parliament. They wave one flag but answer to a different master. Today’s happenings in Durban are a direct result of the ANC Polokwane Conference. It does not come as any surprise, therefore, that President Zuma was leading the S’Dumo-Dlamini-Cosatu faction in the march today. Instead of President Zuma playing a unifying role as a statesman, he has openly taken sides. He has divided the workers. History will judge him harshly. In my view, the time has come to form a solid Independent Workers Federation must comprise all trade unions, including Fedusa,Cosatu, Nactu and all others. Leaders in the union movement must put workers’ interest first. Workers who apply pressure through unions outside of government will receive better and quicker attention from government. When the ruling party really needs the votes of workers, they will become more responsive. At present the ruling party is taking workers for granted, notwithstanding President Zuma marching with one faction. The Congress of the People reiterates its consistent policy position: trade unions must remain independent of political parties. This position is more relevant today than ever before. Obviously Madisha and Vavi have something in common to share. 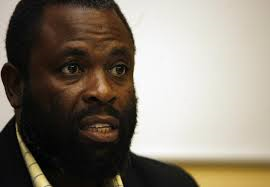 Their woes on being expelled cosatu means they now want to make things right for not only the worker, a father, brother, etc… That man who puts on a worksuit and goes to work for the capitalist with the expectation of making it to pension and still have nothing. That man is not interested in your woes, al he wants to see is his life changing … You and your Cope, EFF,NUM …whatever makes it impossible for you to become one party when you have so much to agree on (creed) and not policies. Because policies can be amended not creed. Workers’ problems, challenges and grievances first….